ARLINGTON, Va.–The Office of Naval Research (ONR) has a long record of placing winning bets on up-and-coming scientists. 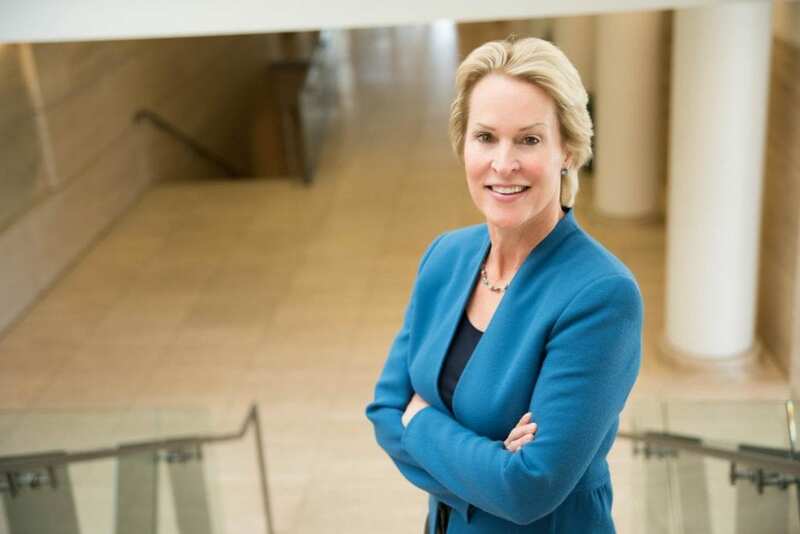 In fact, it was 30 years ago that the ONR Young Investigator Program sponsored Dr. Frances H. Arnold, a professor from the California Institute of Technology, who has been awarded the 2018 Nobel Prize in Chemistry. Arnold–who still serves as a professor of chemical engineering at Caltech–was in Stockholm, Sweden, earlier today for the Nobel Prize Award Ceremonies, where she became only the fifth woman–and the first American woman–to take home science’s most recognized award. ONR sponsored Arnold with a series of grants between 1988 and 2002. “I received an ONR Young Investigator Award in the late 1980s, which introduced me to problems of interest to the Navy, but also problems of good intellectual content that overlapped with some of my interests in metal recognition and protein engineering,” said Arnold. It was during this period that Arnold pioneered a process known as directed evolution of enzymes, which steers enzymes–proteins that accelerate chemical reactions–toward specific functions, such as manufacturing pharmaceuticals and biofuels. “During those years, I developed methods for creating proteins that could be useful for naval applications, but that also pushed the boundaries of protein engineering,” said Arnold. “We were doing things that no one knew how to do. Subsequent to Arnold’s original research, Dr. Laura Kienker, a program officer in ONR’s Warfighter Performance Department, saw the promise in Arnold’s work and provided a grant from 2011 to 2014, which led to the creation of a whole new class of enzymes that is important to sustainable production of chemicals and fuels from renewable sources. Arnold’s research and teaching has also benefitted a new generation of scientists, several of whom ONR currently sponsors through basic research grants. According to Arnold, it’s important to take interest in and support this new generation of researchers, just like ONR did in her 30 years ago. Since 1952, more than 60 Nobel laureates have been sponsored by ONR for their work in everything from laser technology to graphene. For a complete list, visit: http://www.onr.navy.mil/en/About-ONR/History/Nobels.aspx. For more information on this year’s winners, visit: https://www.nobelprize.org/prizes/chemistry/.